Brattleboro School of Dance was founded in 1976 by Kathleen Keller, who recognized the need in the community for a dance center that would provide a wide variety of classes for both adults and children. After 36 years of running the school, Kathleen handed BSD to Jennifer Moyse, who ran the school from 2012-2017. Jennifer then handed the school to Bridget Struthers, an alumna of the school, in 2018. The school continues to provide a wide variety of classes and events for both adults and children. The BSD faculty and staff continually work to create a friendly, supportive atmosphere where anyone can dance. We believe that dance education is a vital benefit in the lives of all people whether as lifelong recreation or with the goal of pursuing a career in dance. Dance benefits us physically, mentally, and emotionally in a way that promotes holistic health and optimal wellbeing. Students learn best when presented with maximum challenge and support, and when the artistry and fun of dance is not forgotten. We integrate our curriculum to include offerings in Ballet and Pointe, Modern, Contemporary, Pilates, Yoga, Somatic Practices, Jazz, Hip Hop, Tap, Improvisation, and Creative Movement. We make a point of giving each and every student individual attention that nurtures and challenges them to be their personal best. Encouragement and assistance is provided for those who need more intensive training during the Summer. To this end, BSD hosts auditions for the Rock School of Dance Education and Burklyn Ballet Theater’s Summer Intensive Programs. In addition to solid training for the recreational and pre-professional student, BSD aims to offer classes, workshops, improv jams, and choreographic opportunities for practicing artists in the area. We welcome the adult dancer/artist to explore and expand through our growing offerings of classes and programs. At BSD, there is a place for those who are investigating their relationship to dance and would like to focus on deepening their understanding and practice of moving arts. Along with classes and training in dance, we strongly believe that performing on stage helps dancers develop their sense of artistry, professionalism, and expression. 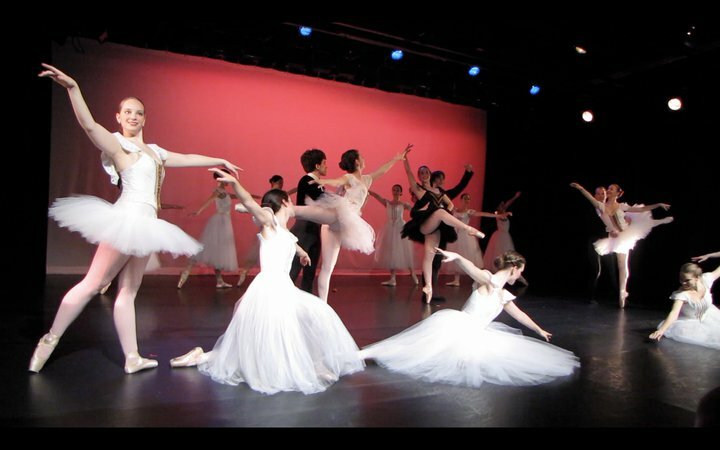 Dancers are invited to participate in The Nutcracker, a beloved classical holiday story, as well as our annual Spring Show, a performance event that includes choreography by many of the school’s faculty and guest artists. Children as young as 6 and adults as old as 106 are invited to participate in these beloved and highly anticipated events. These shows are integral to building a strong sense of community amongst the many dancers, parents, volunteers, teachers, and administrators who make it all possible. In addition to these large productions, we also provide informal performing opportunities within the community. Throughout the year, there are performances and events that allow students to push their limits and grow as performers. In the past, BSD has participated in such events as Strolling of the Heifers, the Wellness In Windham Health Fair, Gallery Walk, a flash mob at Twinkle Town, and has collaborated with the Albany Berkshire Ballet, the Moscow Ballet, Vermont Dance Alliance, and Vermont Performance Lab. BSD is a proud partner of Vermont Dance Alliance and sponsor of Southern Vermont Dance Festival. The Brattleboro School of Dance is recognized not only for its general excellence, but also for its successful combination of learning experiences, group interaction, and community involvement that has earned it respect and admiration since 1976. We look forward to many more years of dancing and creating!